I really just can’t stop myself lately. It’s like the grandkids are about to go back to school and I want to just spend every minute with them–doing silly things together. 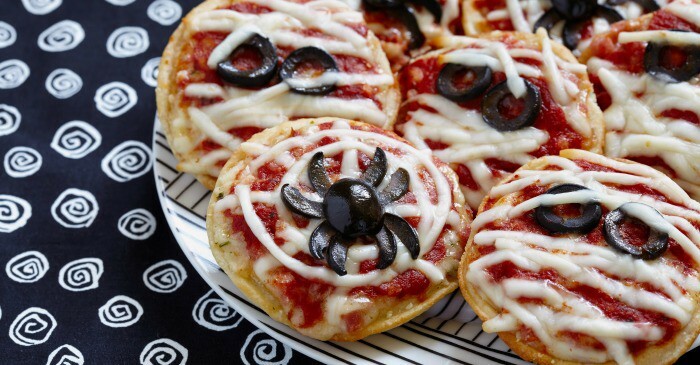 So, yesterday, it was making Spider Web Pizza Snacks. 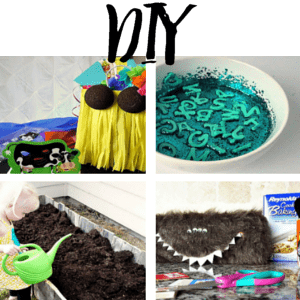 Now, just like the Spider Eggs–I mean, Spider Deviled Eggs, you can make these for pretty much anything–to go with Little Miss Muffet, Itsy-Bitsy-Spider, you know, anything spider. 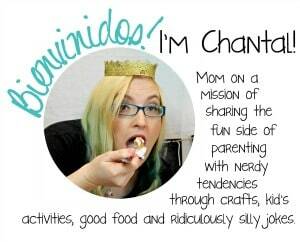 Even Charlotte’s Web. But, it’s most fun at Halloween. Heh. I actually can’t wait for Halloween. 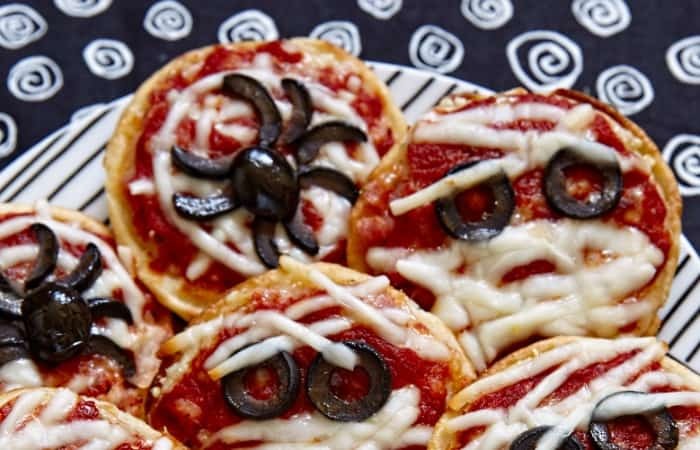 Not only will these Spider Web Pizza Snacks be a hit, but they’ll go nicely with the Spicy Hamburger Pizza Mummies I plan to make. This is, apparently, going to be a bit of a pizza-fest, but that’s cool. Pizza’s fun. The other thing I plan to use these little snacks for is my grandson’s lunch leading up to the couple of weeks before Halloween. These are perfect little additions to the cute bento box lunches my daughter tries to make him around each holiday. And, they freeze pretty well, so I can make her some, pop them in the freezer, then he can just have them in his lunch on Halloween week. So simple. 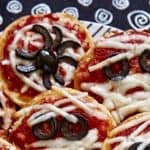 So, I know Halloween is a ways away, so, go ahead an pin this recipe for Spider Web Pizza Snacks…because you’re going to want them a couple weeks out and I hate having to search everywhere. LOL! 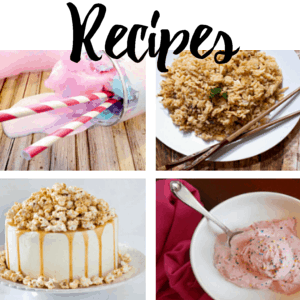 And leave us a comment below–let us know if there are any other awesome Halloween snacks we need to try out this year! 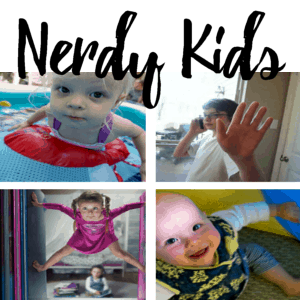 I want to just spend every minute with my grandkids doing silly things together. 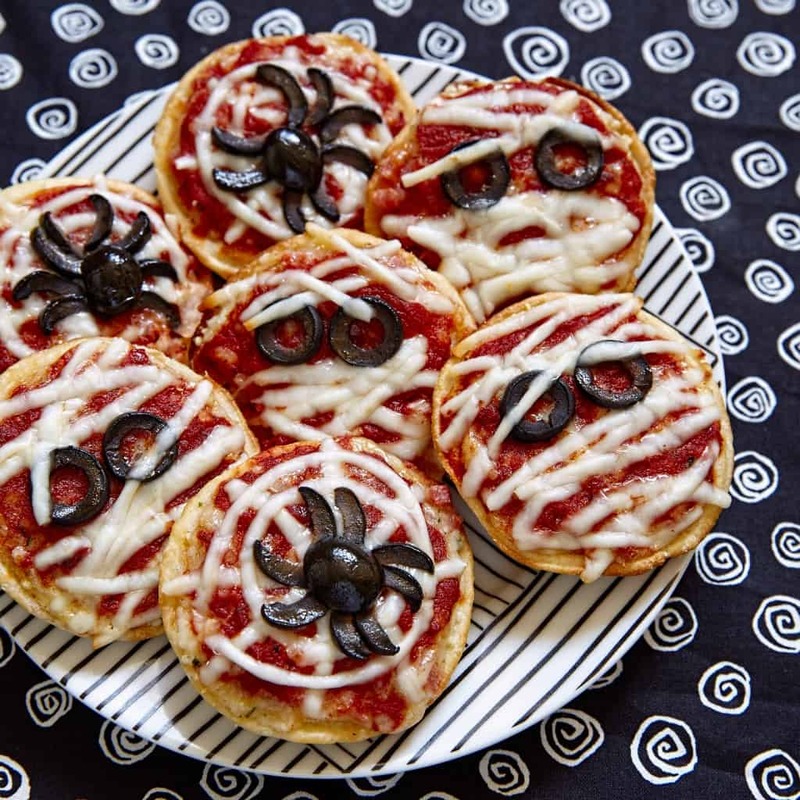 So, yesterday, it was making Spider Web Pizza Snacks. So. Fun. In a medium-size sauce pan, over medium heat, bring the Tomato Sauce, Garlic Powder, Oregano, and Sweet Basil to a boil. Place the Bagel Crisps on a baking sheet. Spread about a tablespoon of the Tomato Sauce mixture on each Bagel Crisp. Arrange the cheese to look like a spider web, or a mummy face. Heat in the oven until cheese is slightly melted. Slice the Olives lengthwise to form spider bodies. Slice in rounds and split in half to form spider legs. 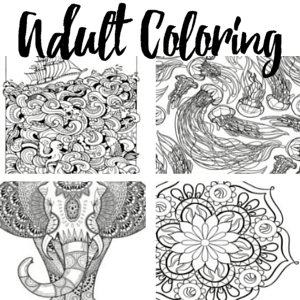 Slice in rounds to form eyes. Arrange olives on prepared Bagel Crisps. Serve and enjoy!